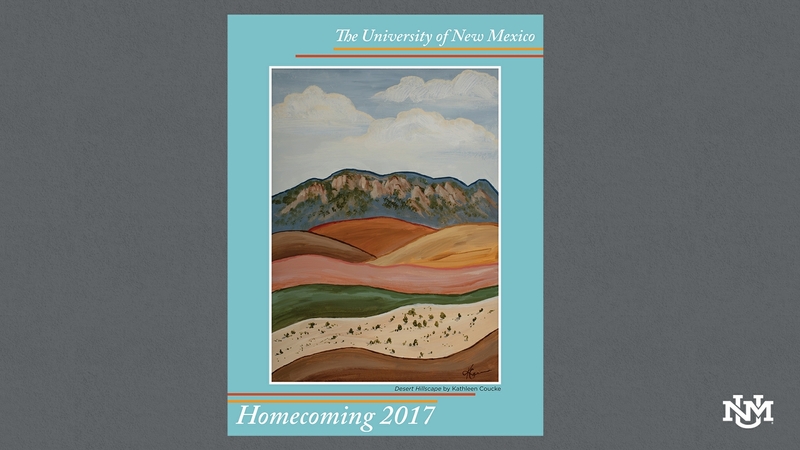 The UNM Alumni Association has announced undergraduate Kathleen Coucke as the winner of the inaugural Homecoming Poster Artwork Contest. 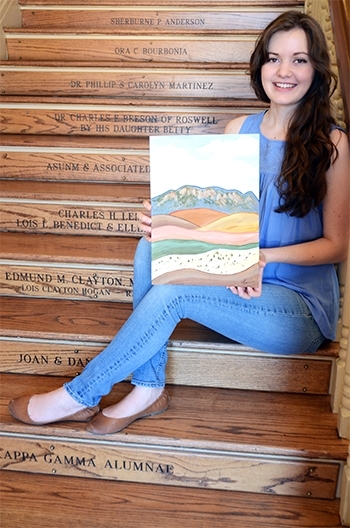 Her painting, “Desert Hillscape” will be sold to commemorate Homecoming 2017. Coucke is primarily a painter and printmaker working towards her bachelor’s degree in art studio, with a minor in arts management at UNM. A lifelong New Mexican, Coucke says she loves to spend her time here with her husband, creating art and trying to connect with the community. She draws much of her inspiration from spending time in nature, including seeing animals, landscapes and flowers. She sees art as a form of storytelling. “Desert Hillscape,” is for sale on online for $45, signed, or $30 unsigned. UNM Homecoming 2017 Living la Vida Lobo activities extend from Monday, Sept. 25 to Saturday, Sept. 30. With more than 50 events on the calendar during Homecoming Week 2017 there will be an event, lecture series, reunion, open house or tailgate opportunity to fit everyone’s interests. A full schedule of events can be found by visiting the Alumni Association’s website.